“Agreement” Shall mean and include the completed application form, its attachment(s) and the terms and conditions stated herein. It shall deem to have been executed at Mumbai. “Date of Termination“: Is the date of expiry mentioned in the notice or/and the letter of termination. “Product Catalogue“: Contains time to time information and description of the Services for the User provided by the Company in writing or contained in the website ESYTES.COM. “Registration Data“: Is the database of all the particulars and information supplied by the User on initial application, demo requests and subscription, including but without limiting to the User’s name, telephone number, mailing address, account and email address. “Services“: Means the Services to be provided by the Company to the User of ESYTES. “User“: Is defined as an individual or corporate subscriber and employee for the Services and the signatory, whose particulars are contained in the application form and includes his successors and permitted assignees. The Service shall be deemed to have commenced on the Date of Commencement. ESYTES shall reserve the exclusive right to cancel any content whatsoever from being published or reflected on its website or in any other mode. The cancellation charges payable by the User shall be at the applicable rates laid down in the cancellation and refund policy. The User understands and agrees that User is responsible for all applicable taxes and for all costs that are incurred in using the ESYTES service. ESYTES in its sole discretion shall reserve the right to edit, modify and alter the content. User agrees that the advertisements placed with ESYTES shall be reflected after 48 hours. The user further agrees to the stipulated 48 hours processing. The User will indemnify ESYTES for any action or claim committed/made by any third party resulting from any information posted on the site by the user or/and anybody else on his behalf. The responsibility for checking the Do Not Call (DNC) registry is with the User for sending the SMS and that the said User by using the said services indemnify and agree to keep ESYTES indemnified from all costs and/or liabilities arising out of the said communication. The User shall not to print, download, duplicate or otherwise copy, delete, vary or amend or use any data or personal information posted by any User on ESYTES except such data and information which is posted by the particular User himself. The User shall be prohibited in persistently sending messages or make postings on ESYTES to any other User or third party who access ESYTES without reasonable cause or for causing any threat or/and harassment or/and annoyance or/and anxiety or/and any other inconvenience whatsoever caused to any person. The User shall give out to the company a non-exclusive, worldwide, royalty-free, irrevocable, sub-license able (through multiple tiers) right to exercise all copyright and publicity rights, in any existing or future media, known or unknown, over the material or User Data displayed in your listings. For the purpose of this Agreement, “User Data” shall mean all information (if any) submitted by the User to ESYTES with the exception of trading data, credit card numbers, checking account numbers, etc. “Individually Identifiable User Data” shall mean that subset of “User Data” which can be reasonably used to identify a specific individual such as their name, address, phone number, etc. The User Data shall be deemed to be the property of ESYTES. The User shall take all reasonable efforts to ensure that it is accurate and complete and not misleading in any way. User agrees not make use of anyone else’s Information other than as necessary to complete any ESYTES transactions in which you are involved. The User shall not violate, or attempt to violate the security of ESYTES and/or any web sites linked to ESYTES or gain un-authorized access any information regarded as private by other Users or persons, including but without limitation to accessing data and information not intended for them or logging onto a server or account which the User is not authorized to access, attempting to probe, scan or test the vulnerability of a system or network or attempting to breach security or authentication. The User shall be prohibited to introduce, post or transmit any information or software, which contains a virus, worm or other harmful component into the internet or ESYTES network system. In the event that the User breaches any of the above mentioned covenants, the Company shall have the right to delete any material relating to the violations without prior notice to the User. The Company shall issue a warning to the User to discontinue any activity which leads to the said violations and in the event the User continues with such prohibited activity, the Company reserves the unilateral right to suspend or/and deactivate the User’s access to ESYTES the Service and/or any other related facility. In addition to the right to indemnity available to the Company, the Company shall have the right to any legal remedy, against the User to recover the loss suffered by the Company and the harm caused to the reputation of the Company, due to such violation by the User. The Users shall avail of the ESYTES or any other related site for lawful purposes alone. Transmission or/and distribution or/and storage of material or/and conduct in violation of any applicable local or/and state or/and Central or/and foreign law or/and regulation is prohibited. This includes without limitation any unauthorized use of material protected by patent or/and copyright or/and trademark or/and other intellectual property right, material that is obscene or/and defamatory or/and libelous or/and constitutes an illegal threat, or/and violates rights of privacy or publicity, or/and violates export control laws. The User may use the information on our site only to the extent necessary to facilitate ESYTES related transactions. 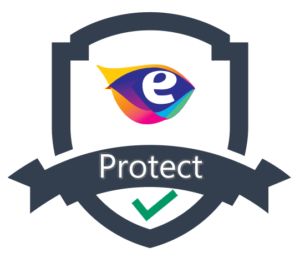 The ESYTES opposes SPAM, which floods the Internet with unwanted and unsolicited email and deteriorates the performance and availability of the ESYTES service. All forms of SPAM, or any other activities that have the effect of facilitating SPAM, are strictly prohibited. ESYTES also prohibits the use of another Internet service to send or post SPAM to drive visitors to your site hosted on or through ESYTES systems, whether or not the messages were originated by you, under your direction, or by or under the direction of a related or unrelated third party. To protect the secrecy of his user Identification and/or password the User shall take all such measures as may be necessary (including but without limiting to changing his password from time to time) and shall not reveal the same to any other person(s). The user shall not use any software to automatically download or/and extract either a complete or/and partial material from ESYTES database without prior consent from ESYTES in writing. The Company may at its sole discretion and without assigning any reason whatsoever at any time deactivate or/and suspend the User’s access to ESYTES and/or the Services (as the case may be) without notice to carry out system maintenance or/and upgrading or/and testing or/and repairs or/and other related work. Without prejudice to any other provisions of this Agreement, the Company shall not be liable for any loss or/and damage or/and costs or/and expense that the User may suffer or incur, and no fees or/and charges payable by the User to the Company shall be deducted or refunded or rebated, as a result of such deactivation or/and suspension. (c) if the User is declared a bankrupt or/and the User enters into any compromise or arrangement with its creditors. (d) If the User is observed and noticed to have dual employment and or his / her part time business. (e) If the User is failed to saitsfy the assigned monthly accomplishments. If the Agreement is terminated pursuant to clauses set out in X above, without prejudice to any other remedies available to the Company, the User shall be liable for full order value. If ESYTES, in its sole discretion, determines that a violation of the Terms & Conditions has occurred, ESYTES may pursue any of its legal remedies, including but not limited to the immediate deletion of any offending material from its site or/and cancellation of your account and/or the exclusion of any person(s) who may have violated any Terms & Conditions. ESYTES could also pursue violators with claims that they have violated various criminal and/or civil law provisions as applicable under the relevant Acts/Rules, etc of the land. ESYTES will cooperate with any investigation by any Central or/and State or/and local body or/and any court or/and tribunal having the competence to carry out the same. Such cooperation may be without notice to the User. If ESYTES believes in its sole discretion that any advertisement or/and services may create liability for ESYTES, ESYTES may take any actions that it believes are prudent or necessary to minimize or/and eliminate its potential liability, including but not limited to, the release of User information. In sum, ESYTES reserves the right to refuse service to anyone at any time, or/and to remove any listings or/and any advertisements for any reason, and without notice. The User shall agree that use of the service is at the user’s sole risk. The service is provided on an “as is” or/and on an “as available” basis. ESYTES expressly disclaims all warranties of any kind, whether express or implied, including, but not limited to the implied warranties of merchantability, fitness for a particular purpose and non-infringement. The Company / ESYTES makes no warranty that the service shall meet user’s requirements, that the service shall be uninterrupted or/and timely or/and secure or/and error free; nor does ESYTES make any warranty as to the results that may be obtained from the use of the service or as to the accuracy or reliability of any information obtained from the service. Cancellations and alterations shall be effected only on the receipt of application regarding the same in writing. There are no express representations and warranties, whether express or implied, made by the Company regarding the accuracy and/or quality of any information transmitted and/or obtained through the use of the Services or ESYTES. Further the Company is not responsible for the accuracy, quality and/or contents of any information available, received and/or transmitted through this Service. All information are accepted in good faith and ESYTES accept no responsibility whatsoever regarding the bonafide of the user, nor can any interviews/system changes/management changes/profile/salary expectation be granted or/and correspondence entered into regarding any advertisement published. The Company does not warrant that ESYTES or any of the web sites linked to ESYTES be free of any operational hazards or errors nor that it will be free of any virus or/and worm or/and any other harmful components. It is not the Company’s policy to exercise any kind of supervisory or editorial control over and/or edit and/or amend any data and/or contents of any e-mails and/or posting of any information that that may be inserted or/and made available or transmitted to a third party in or through ESYTES and the User acknowledges the same. The User acknowledges and agrees that the Company has absolute discretion to refuse and/or suspend or/and terminate and/or delete and/or amend any artwork, materials and/or information or/and content of any data and/or information or/and posting so as, in the sole opinion of the Company, to comply with the prevailing legal framework and/or moral obligations as placed on the Company and in order to avoid infringing any third party’s rights and/or any other rules and/or standards and/or codes of practices that may be applicable to the posting or ESYTES and/or the internet. ESYTES is not involved in any transaction between any parties who uses our site. There are risks, which the User assumes when dealing with people who might be acting under false pretences and the same shall be borne by the User. The Company is a venue only and do not screen or/and censor or/and otherwise control the listings offered to other Users, nor does ESYTES screen or/and censor or/and otherwise control the Users of its service. ESYTES cannot and does not control the behavior of the participants on this site. We cannot control whether or not Users of ESYTES will complete the transactions they describe on our site. It is extremely important that the user takes care throughout his dealings with other people on this site. ESYTES does not accept or/and assume responsibility for the content or/and context of the user comment areas and will not remove or/and edit postings to the public comments areas once they are entered into the service, except to expire records or in its sole discretion. If there is any dispute between the Users/participants on this site, it is agreed upon by the Users/participants that ESYTES has no obligation whatsoever to be involved in any such dispute/s. In the event that the user has a dispute with one or more User/s or/and participant/s, the User hereby undertake s not to make any claims or/and demands or/and damages (actual or/and consequential) of every kind or/and nature or/and known or/and unknown or/and suspected or/and unsuspected or/and disclosed or/and undisclosed, arising out of or/and in any way related to such disputes and/or our service against the ESYTES or/and their officers or/and employees or/and agents or/and successors. The User understands and agrees that any information or/and material and/or goods or/and services obtained through the service is done at user’s own discretion and risk and that user shall be solely responsible for any damage/s or/and cost or/and any other consequence/s resulting from any transaction. No advice or or/and information, whether oral or/and written, obtained by the User from ESYTES or/and through or/and from the service shall create any warranty not expressly stated herein. The Company’s total liability under this Agreement in any circumstance shall be limited to the total amount of fees or/and charges paid by the User to the Company for the period immediately preceding two (2) months prior to the incident giving rise to the relevant claim. User agrees that neither ESYTES nor any of its providers of information shall be liable for any direct or/and indirect or/and incidental or/and special or/and consequential or/and exemplary damages, resulting from the use or/and the inability to use the service or/and for cost of procurement of substitute goods or/and services or resulting from any goods or/and data or/and information or/and services purchased or/and obtained or/and messages received or/and transactions entered into through or/and from the service or/and resulting from unauthorized access to or/and alteration of user’s transmissions or/and data or/and arising from any other matter relating to the service, including but not limited to, damages for loss of profits or/and use or/and data or other intangible, even if ESYTES has been advised of the possibility of such damages. User further agrees that ESYTES shall not be liable for any damages arising from interruption, suspension or termination of service, including but not limited to direct or/and indirect or/and incidental or/and special consequential or/and exemplary damages, whether such interruption or/and suspension or/and termination was justified or not, negligent or intentional, inadvertent or advertent. User agrees that ESYTES shall not be responsible or liable to user, or anyone, for the statements or conduct of any third party of the service. In sum, in no event shall ESYTES ‘s total liability to the User for all damages or/and losses or/and causes of action exceed the amount paid by the User to ESYTES, if any, that is related to the cause of action. and the User hereby undertakes that in such situation/s, the User shall not claim any right/damages/ relief, etc against the Company for “Deficiency of service” under The Consumer Protection Act or any other Act/Rules, etc. Retain all data or/and information supplied by the User while using the Service to remain at ESYTES for the exclusive use of the Company in accordance with service agreement with the user, notwithstanding any termination of the Agreement or suspension of the Service to the User herein. Anything contrary to the above, unless specifically put down in writing, following the termination or suspension of the Service to the User, all such data and information shall remain in the Company’s property, records and databases as the exclusive property of the Company, for all times to come. User will defend, or at its option and settle any third party lawsuit or proceeding brought against the Company based upon or otherwise any claim arising from the fact that the User Content, Site and/or User features infringe any copyright, trade secret or trademark of such third party and second, the Company’s use of any User Content, provided that such use complies with the requirements of the Agreement and third, the User’s use of the Services in any manner inconsistent with or in breach of the Agreement; and/or fourth, any claim alleging facts that would constitute a breach of User’s representations and warranties mad e in this Agreement. Any such claim/proceeding if made directly on the User shall promptly be communicated to the Company by the User with all reasonable information, assistance and cooperation in defending the lawsuit or proceeding. The User shall give the Company full control and sole authority over the defense and settlement of such claim. The User may join in defense with counsel of its choice at its own expense subject to the approval of the company. The User unilaterally agree to indemnify and hold harmless, without objection, the Company, its officers, directors, employees and agents from and against any claims, actions and/or demands and/or liabilities and/or losses and/or damages whatsoever arising from or resulting from their use of ESYTES or their breach of the terms of this Agreement. Indemnification shall be provided for any claim which shall arise and shall be limited to payment by the indemnifying party (“User”) of all damages and costs finally awarded for such claim, or settlement costs approved in writing by the Indemnitor (Company). For the purpose of this Agreement and attachments thereto and all renewals, “Confidential Information” means all financial, commercial, technical, operational, staff, management and other information, data and know-how relating to the Project or to a party (the “Disclosing Party” herein the Company ) or any other members of the Disclosing Party’s group of companies ( including, without limitation, as to products and services, assets, customers, date and database, suppliers or employees), which may be supplied to or may otherwise com e into the possession of the other (the “Receiving Party”, herein the User ), whether orally or in writing or in any other form, and which is confidential or proprietary in nature or otherwise expressed by the Disclosing Party or by any of its Associates to be confidential, and not generally available to the public. The Receiving Party shall keep confidential and secret and not disclose to any third party the Confidential Information nor any part of it, except to any of the Receiving Party’s Associates, if required and upon prior permission in writing from the Disclosing Party. The Receiving Party agrees to take all possible precautions with regard to protecting confidential information from any third party and shall ensure that all its Associates to whom such disclosure is made will act in accordance with the terms of this Agreement as if each of them were a party to this Agreement, and if required obtain a written statement from each of its employees/associates having access to such Proprietary Information undertaking to abide by the confidentiality conditions. All Proprietary Information shall be kept separate and exclusive and at the usual place of business (or residence as the case may be) of the Receiving Party. On request of the Disclosing Party made at any time, including at the time of termination of this Agreement, the Receiving Party shall deliver back to the Disclosing Party all original documents, records, data and other material in the possession, custody or control of the Receiving Party that bear or incorporate any part of the Proprietary Information. The obligations of confidentiality set out in this Agreement shall continue in force notwithstanding termination of this Agreement for any reason whatsoever. The User has access to only his own data and information stored in the database at ESYTES (subject to prior confirmation of identity) and nothing more. The User and may edit or amend such data and information from time to time. All confidential information (including name, e-mail address etc.) voluntarily revealed by the User in chat and bulletin board areas, is done at the sole discretion and risk of the User. If such information, collected by a third party is misused or results in unsolicited messages from such third parties, then such actions are beyond the use beyond the control and liability of ESYTES and the company accept s no responsibility or liability whatsoever for such actions. All copyright and/or know-how and/or any other related intellectual property rights to the Service or ESYTES shall become and remain the sole and exclusive property of the Company and the User shall have no claims to the same. In the event the User has contributed any content to ESYTES in any manner whatsoever, all intellectual property rights to the same shall become the absolute property of the Company, including all intellectual property rights and the User shall have no right or claim over the same, in any manner whatsoever. In the event that the User during the term of his Agreement or any time thereafter, uses such intellectual property in any other website or related activity, the same shall be considered as an infringement of the intellectual property rights of the Company and the Company shall have the right to take recourse to whatever legal remedial action is required, in the given facts and circumstances, the costs and peril of which will lie at the end of the User. The rights to amend vary or change the terms and conditions contained herein and in the Services Guide at any time exclusively rests with the Company, upon notice (in such form as may be determined by the Company) to the User. The user on payment to ESYTES in any other mode apart from CENTRAL BANK OF INDIA (3655759835) Branch Naigaum shall not be entitled for any kind of service / products. This Agreement will be periodically undated and the Terms and Conditions changed from time to time and the changed or updated Agreement posted at ESYTES. The User should visit the site periodically to review the latest Terms and Conditions. For the avoidance of doubt, the User’s continued use of the Service constitutes an affirmation and acknowledgement of the amended terms and conditions. All notices from the Company including notice of change to these Terms & Conditions or other matters related to ESYTES will be done by displaying notices to Users on the Service.